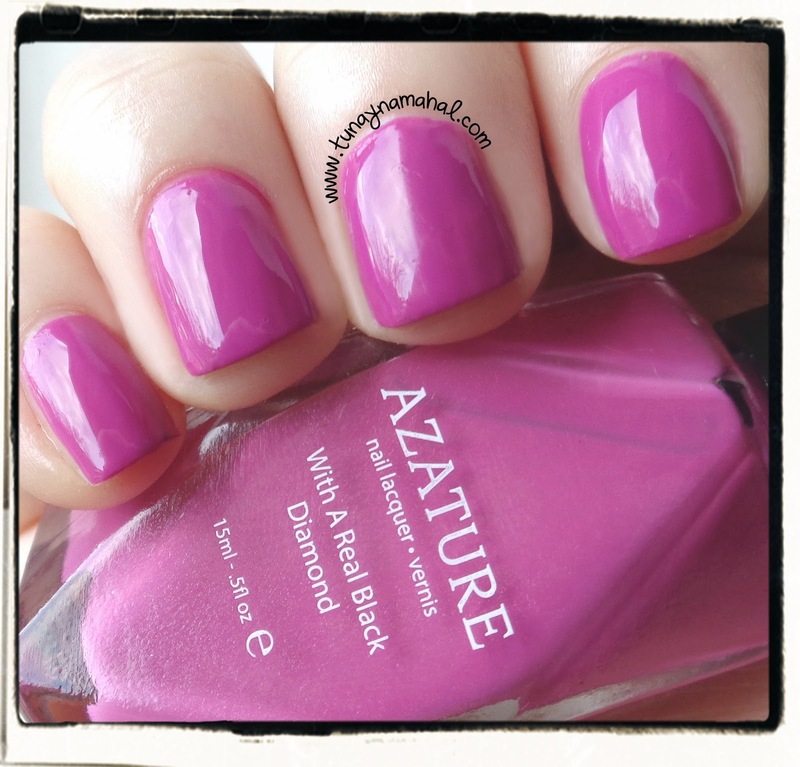 Azature sent me their lovely Summer 2014 Collection to review. Five beautiful bright pigment rich colors. The bottle shape is unique too. 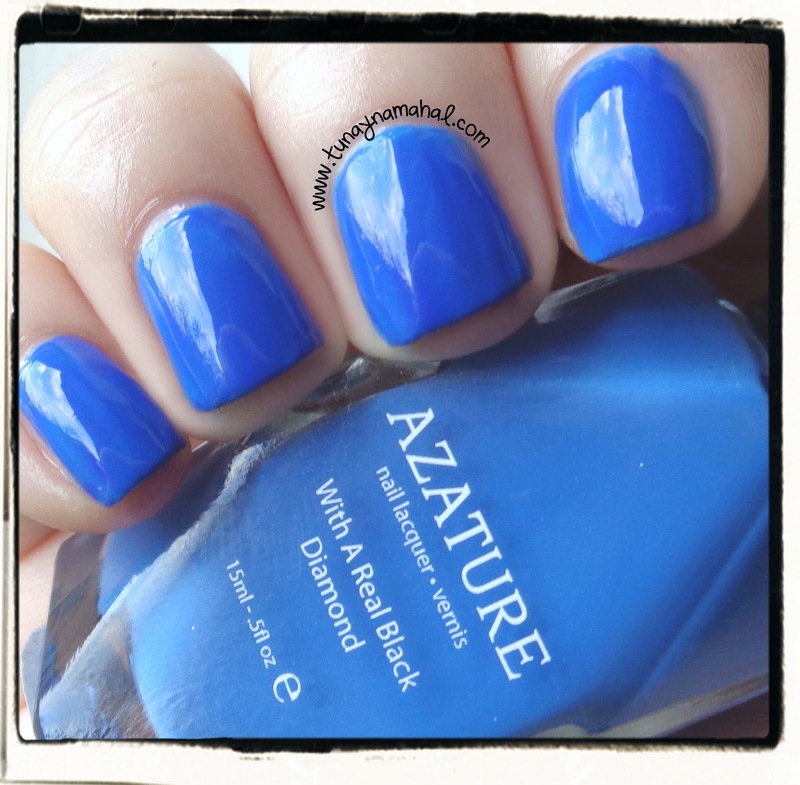 Each polish contains one real black diamond in the bottle. And, all the colors in this collection are opaque in one coat! I have great love for nail lacquer that is opaque in one coat! 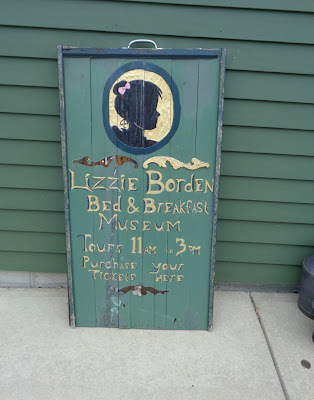 (You can either do one thick coat, or two thin coats. I did 2 coats for photos). 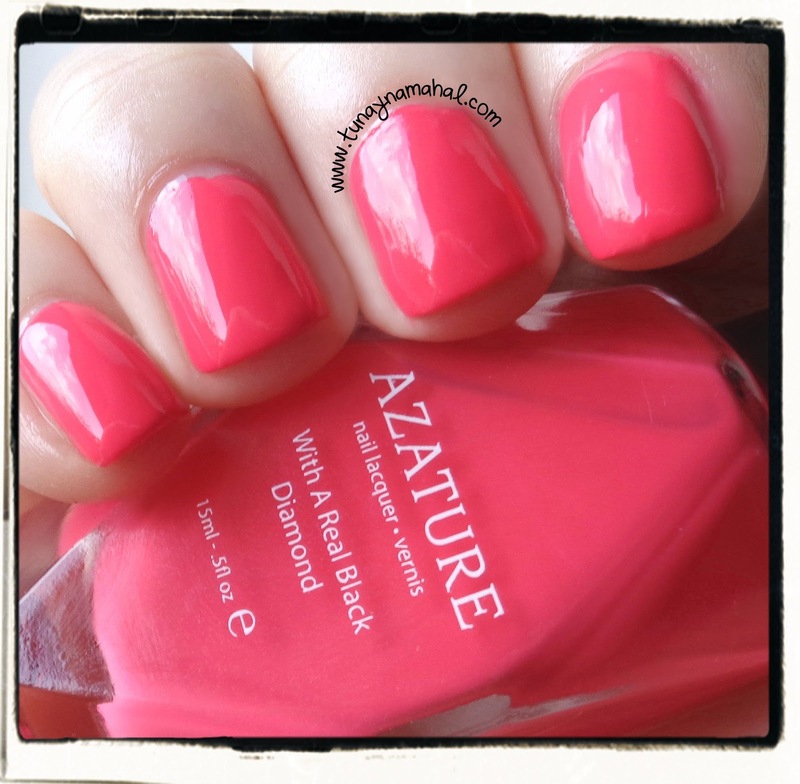 I used Seche Vite topcoat on all the swatches below. 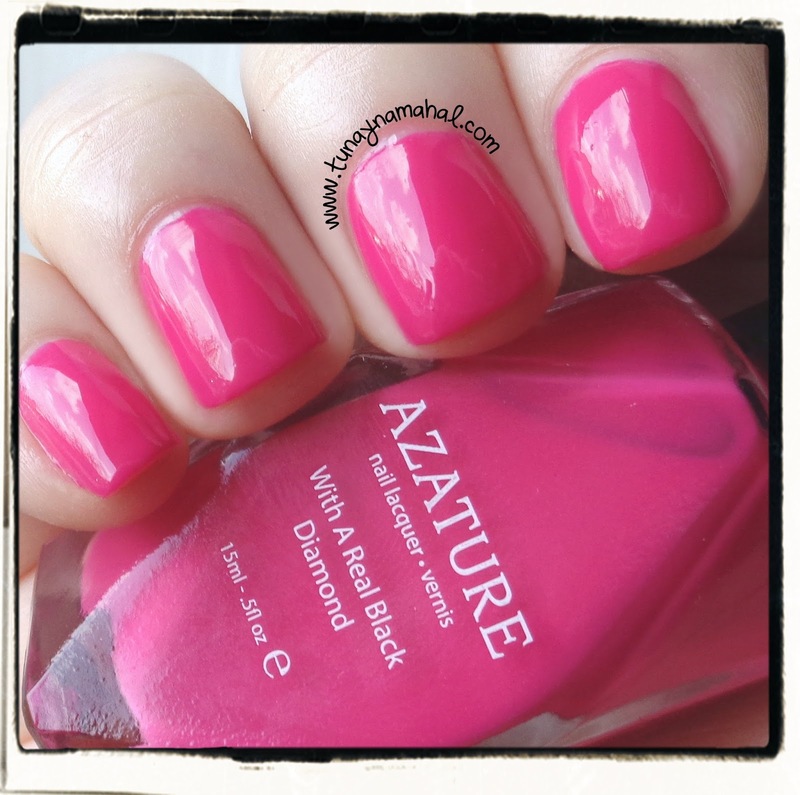 About Azature Nail Lacquer: Our luxurious nail color is free of Formaldehyde, Toulene, and Dibutyl Phthalate. No Animal Testing. Our polish is Vegan. 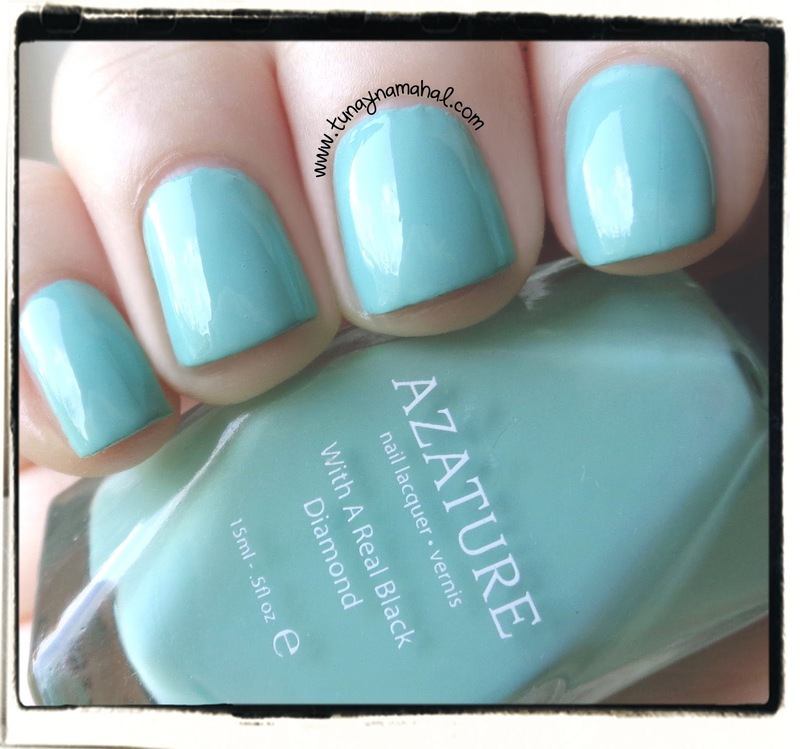 Azature Nail Color retails for $25.00, and can be purchased on: Azature.com, or HSN.com. The price tag may throw some of you off, but it's definitely worth it. They apply so smoothly, and the brush is long and narrow for easy application. I also love that they are so bright and pigmented. I did my toes with the Rose color, and I don't think I've ever finished a pedicure so fast, since I only needed 1 coat on each toe! My favorite colors in this collection are Lavender, Rose, and Lapis.